Taking 90 children from poor families shopping — that was how the staff of a multinational software corporation spent their weekend. Their intention was to ensure that the children had everything they had to be ready for school next year. 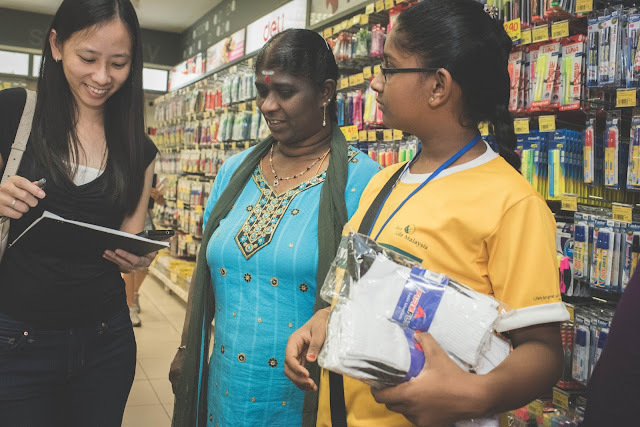 There was joy and hopefulness on the faces of the children as the 14 SAP Malaysia employees accompanied them to shop for school uniforms, bags and stationery at Mydin in USJ Subang Jaya last Saturday. The SAP workers were joined by their family members and 35 staff from its partner company, NTT Data. They also taught the children how to work within a budget, important tools they will need later in life. Fully-funded by SAP Malaysia, a total of RM 36,000 was allocated for the programme. SAP Malaysia managing director Terrence Yong said the company had long placed importance on education, especially of poor children. “Through education we can help the country and people on so many levels. “We want to help narrow the gap that exists between the private sector and charitable organisations such as Hope Worldwide Malaysia,” said Yong. The families of the children were recipients of welfare aid from Hope, a charitable organisation with extensive knowledge of Sentul and the needs of the poor there. Hope has been running a free clinic there, giving free treatment and medicines to children from underprivileged families since 2000. 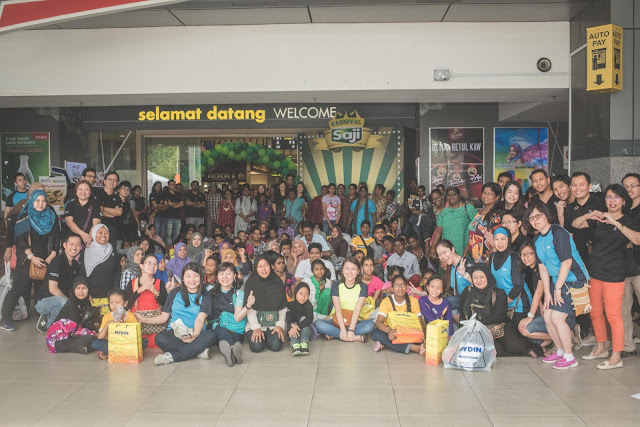 “It is gratifying that these needy children have the support of the community through caring companies such as SAP Malaysia and Mydin,” said Hope worldwide (Malaysia) executive director Katy Lee. Mydin co-sponsored the corporate social responsibility (CSR) initiative by offering the distributor price for the purchases and sponsoring food for the kids and their parents. She added that it had always been important to convince the parents of the need for their children to remain in school. “It took time for them to understand that with education, their children could have better lives,” Lee said. For more than 10 years, volunteers have taught and read to children from slums in Sentul, thanks to a reading programme started by Hope. HOPE worldwide Malaysia alongside with 4 more NGOs: Food Aid Organization, Malaysian Red Crescent, Pertiwi Soup Kitchen and Kechara Soup Kithen were very honored to be invited to World Hunger Relief Charity Concert as to celebrate a great success for 2015, as KFC & Pizza Hut World Hunger Relief raised a total of 3.6 million, which the total fund collected had increased RM 1 million compared with last year's campaign. The World Hunger Relief Charity Concert 2015 was graced by Her Royal Highness, The Queen of Johor, Duli Yang Maha Mulia Raja Zarith Sofiah Binti Almarhum Sultan Idris Shah. Followed by her Majesty's welcome note, the Queen presented the Cheque Donations to all 5 beneficial Charity Organizations. 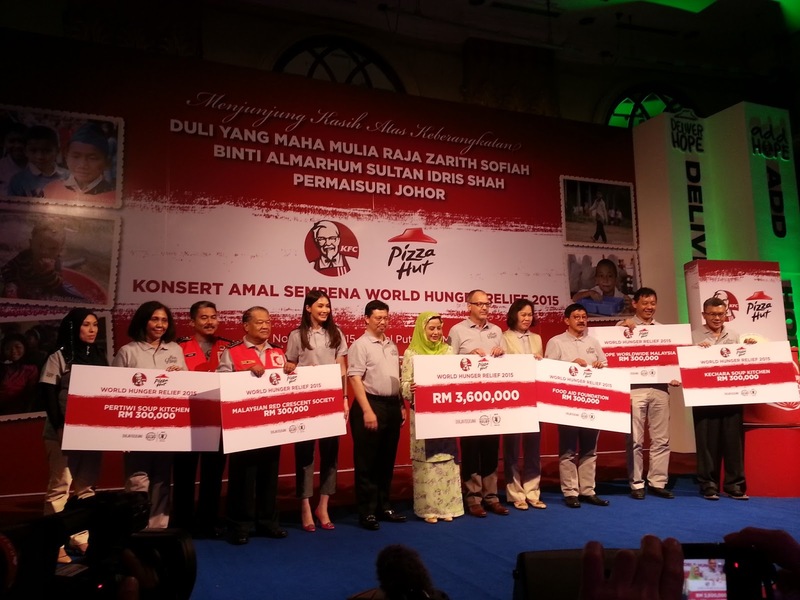 The World Hunger Relief Campaign had marked its ninth year of CSR effort by KFC & Pizza Hut. It began with a contribution of RM 0.50 per World Hunger Relief Meal from KFC & Pizza Hut which is purchased by the customers. Year after year, it gradually became an incredible fundraising campaign, with one sole purpose and objective, to ease the hunger among the nation. Eventually it came to the highest point of the Charity Concert, we had Ning Baizura, Misha Omar and Anuar Zain taking turns to entertain us with their popular hit songs and ballads such as Ning's Awan Yang Terpilu, Misha's Bunga-Bunga Cinta and Anuar's Lelaki Ini. This is the second year since we started our CSR Collaboration with KFC & Pizza Hut, as we look forward for sustainable working relationship to ease the hunger of the rural community, to continue to Bring HOPE, Change LIVES for the destitute. 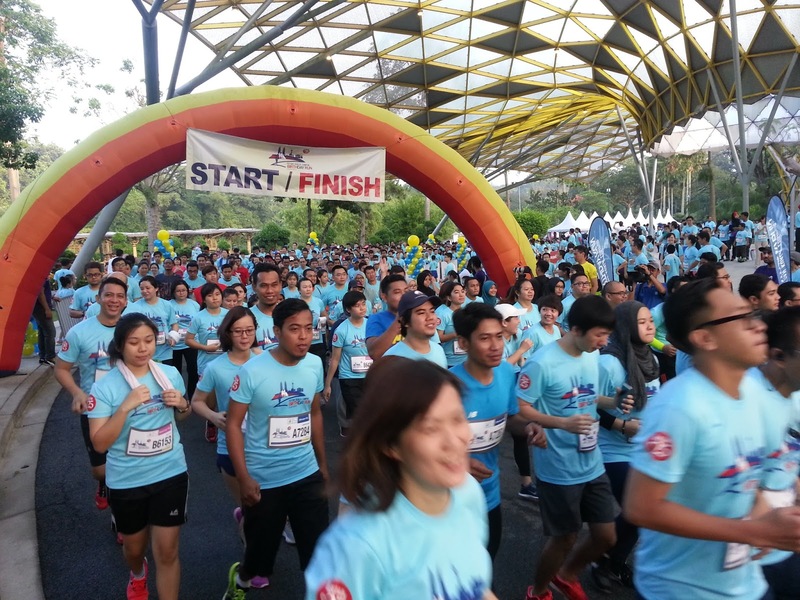 Thanks and Kudos to KFC & Pizza Hut for your remarkable CSR endeavor! 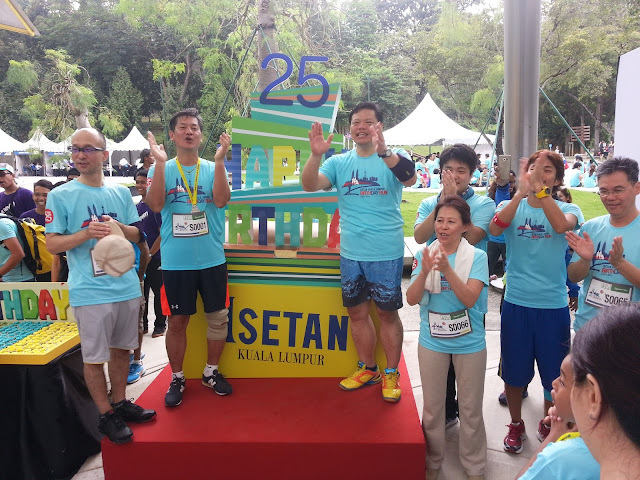 Isetan Kuala Lumpur is celebrating its 25th Anniversary with their loyal customers with a series of events, and the Isetan KL Birthday Run was one of biggest highlight and thanks to Isetan as they dedicated the proceeds of RM 10.00 from each participant's entry fees to our Charity Cause! HOPE worldwide Malaysia is very proud to be selected as the beneficial NGO for the Isetan Kuala Lumpur Birthday Run and in total, Isetan Kuala Lumpur had raised RM 20,000.00! The donation shall be channeled for the implementation of our series of education programs i.e. MY Reading Program and Creative Art Program that benefit the children from low income families. 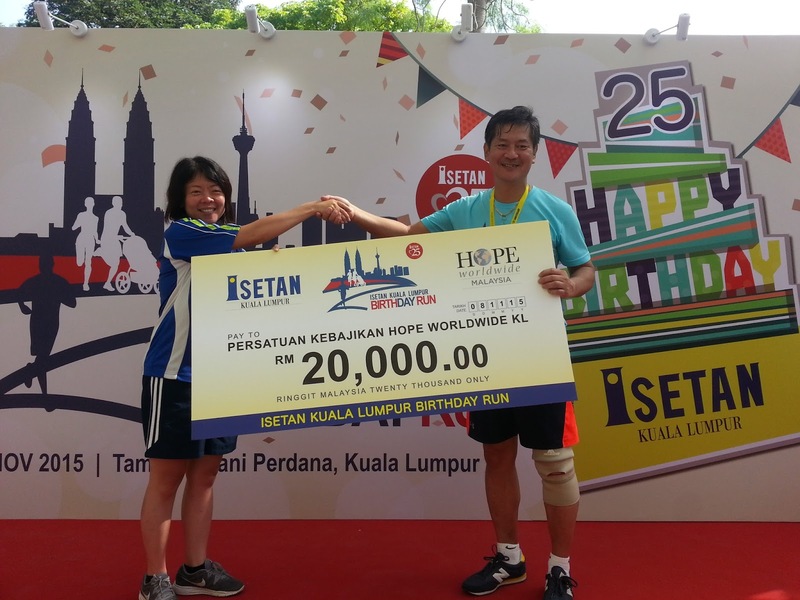 The event began with a welcome speech from the Managing Director of Isetan of Japan Sdn Bhd, Mr. Nobuharu Yutani. Right after that, the Birthday Run flagged off with the first category - Men & Women Open 7KM. Followed by the categories are Family Category and the Kids Dash Run! What brings the event's atmosphere to the highest point was the Lucky Draw Session which they giveaway Isetan Shopping Vouchers, Pearl Necklace, IPad Mini 4 and the grand prize was a 50-Inch 3D Internet TV! 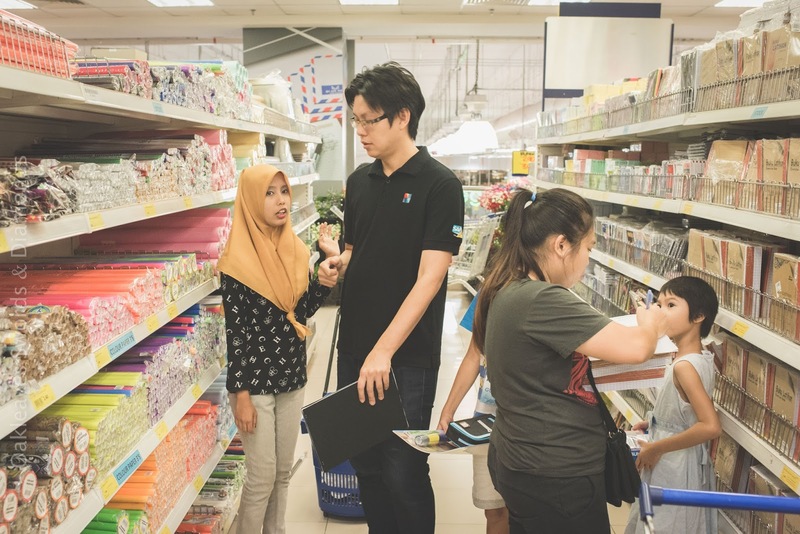 Thanks to Isetan Kuala Lumpur for your CSR effort that creates bigger social impact and a lasting difference to those children who we are helping through the Education Programs.